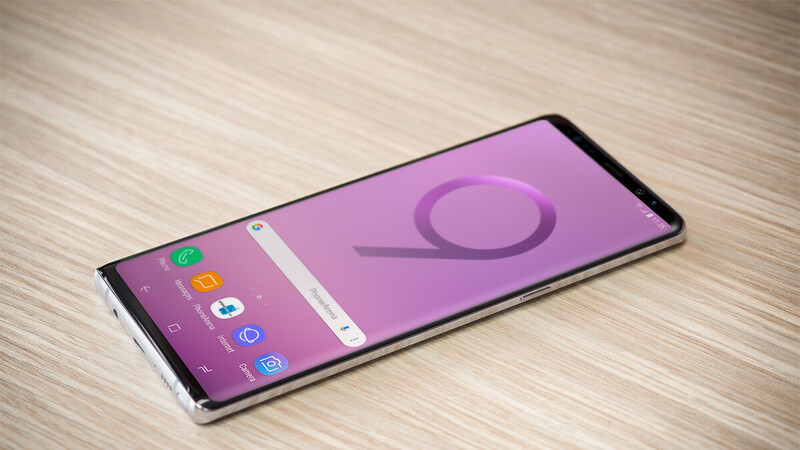 Samsung's Galaxy Note 9 is one of the most eagerly awaited smartphones to be announced in H2 of 2018. The Note family of devices has always been the poweruser's sweetheart due to being packed with the newest and best, the cutting edge of commercially available hardware. And, it seems that the Note 9 will also come with a bunch of unexpected S Pen upgrades, which we can't wait to learn more about. And any smartphone fan is probably itching to get their hands on it already. But when is it going to come out? And — more importantly — is it going to cost more than an arm and a leg? Well... let's see if we can dig up some information and cook up an informed prediction! Ever since the Galaxy Note 5, Samsung has been pulling the phablet's announcement and launch well into August. Presumably, there are two reasons for this. For one, when the IFA tech event rolls by in early September, Samsung can attend, demo its new heavy-hitting phone, and have it ready to sell. Secondly, Sammy does want some momentum before Apple launches its new iPhone for the year. While the rumor mill pushed an eventual "late July" launch date a couple of times, it has now been confirmed that the Samsung Unpacked event will take place on the 7th of August. So, obviously, the Galaxy Note 9 will be sold at some point after that date. But when? All that said, we'd say we can expect the Samsung Galaxy Note 9 to launch in late August — sometime between the 24th and 31th. Any earlier than that is to be considered a bonus! Galaxy Note 9 August 7 August 24 - August 31 ? 17 days - 24 days ? Тhe phone is, allegedly, going to come in 5 different colors. However, leaksters suggest that the handset will launch in 3 paintjobs at the beginning, and the other two will either be region-dependent or special editions to be launched further down the line. This has been Samsung's MO with various colors before, so it may very well be true. At launch, we expect to see Black, Gray, and Lavender, while a Blue and Brown models could come after. With flagship smartphones dialing the commonly-accepted price standards up over the past year or so, we'd say there's good reason to be worried about the Galaxy Note 9's price tag. The Galaxy S line used to start at $650 when we had a choice between the "regular" flatscreen model and a more expensive Edge variant. Then came along the Galaxy S8 pair, both of which were Edge-ified phones. Immediately, the base price for the small Galaxy S8 went up to $720. Let's look at the Note line. The Galaxy Note 5 started around $740, though it did go up to $850 on some carriers; the ill-fated Note 7 was around $850 – $880; and then the Galaxy Note 8 went for a heavy-hitting $950. But hey, it was still far from breaking the psychological barrier of $1k, which the 256 GB iPhone X broke. So, should we expect the Galaxy Note 9 to cost $1,000 or more? We hope not, and we really don't think so. Yes, Samsung's prices have been rising over the past couple of years, but we still feel that $1k is a boundary, which is risky to go over. Apple's iPhone X was endlessly berated and criticized for its price point. Yes, it was still a successful product, but it certainly didn't sell as much as it could have and a ton of users are waiting for the 2018 iPhones with the new design but cheaper prices, so they could finally upgrade. We think Samsung will stick to the $950 price point, or — if it does bump it up — it really shouldn't go beyond $999. Galaxy Note 9 $950 - $999 ? If the display size doesn't increase even a little bit. I'm not upgrading from my Note 8. They may've heard you with the uptick in screen size looking to be one-tenth of an inch; based on certain reputable sources. I'm holding-out for 128 gigs of storage, minimum. It's just not worth it this year. No doubt about it, provided Samsung does not try to foist a model with a paltry 64 gigs of built-in storage upon consumers. A bigger, longer-lasting battery and a Note9 with 128 GB of native storage would do it for me and I do have the great Note8. An enhanced S-Pen would be a sweetener. Intensive use of the Note8, in the field, always has me looking out for a place to charge it; though I haven't seen the Note8's battery dip below 30% in, now, ten months of use. I do hope that Samsung would consider a novel gift for those pre-ordering the Note9 which I am betting will happen on August 9th at the conclusion of the reveal. Verizon, hopefully repeating last year's feat, will see the pre-orders get into the hands of their customers by the 16th of August allowing for the smartphone's use during late-summer vacations. That's my plan at any rate. Verizon shipped Note8 pre-orders prior to the Labor Day holiday last year. I had to look at the chart (thank you for that chart) which accompanies this article to refresh my memory as to the Note8's reveal last August 23rd. Total elapsed time was thirteen days from reveal to receipt of the device. In my earlier post I put it at a week so that is surely wishful thinking. We'll see. If the battery is significantly bigger I might consider it. Maybe. But what I really wanted was in display FPS and true front facing stereo speakers. Without those, my Note 8 is plenty good enough, and better than anything else out there. It don't have the in-screen fingerprint, don't like it.